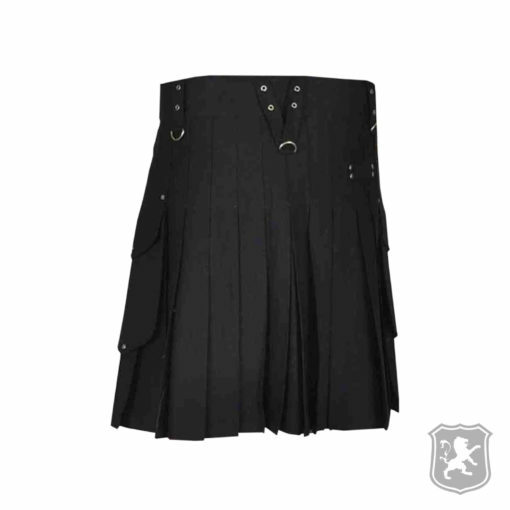 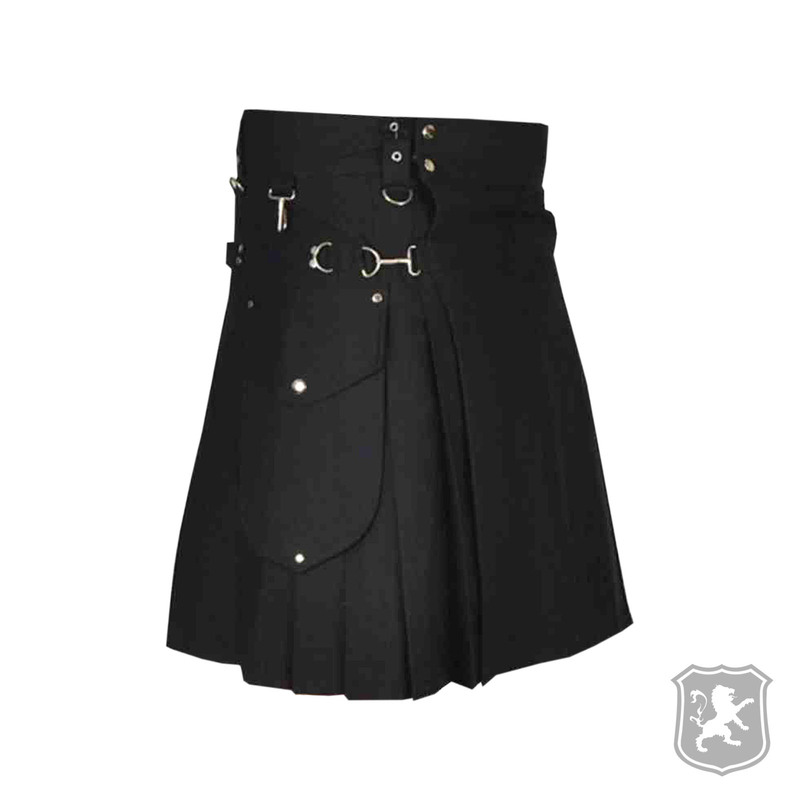 The Stylish Black Utility Kilt is another amazing addition to our utility kilts catalog. 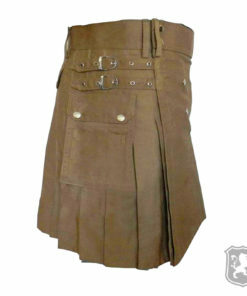 It is an amazing kilt with an outstanding design. 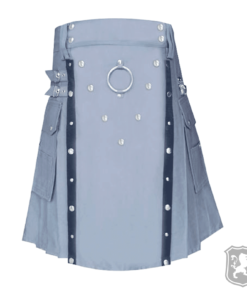 It has chrome metal decorations all over the kilt to make it more stylish and unique. 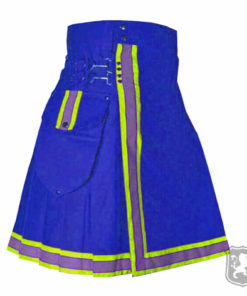 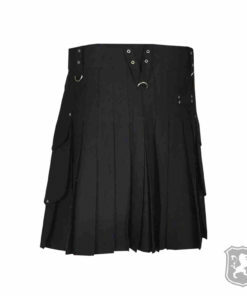 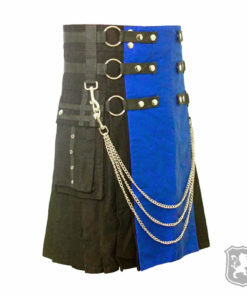 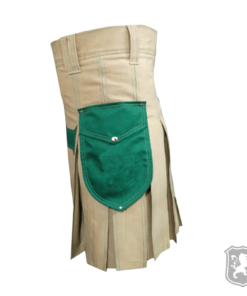 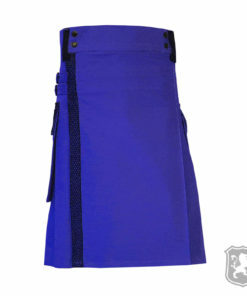 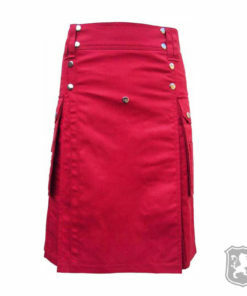 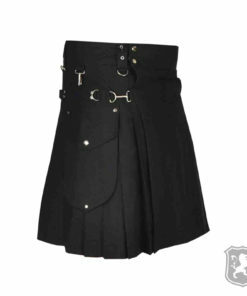 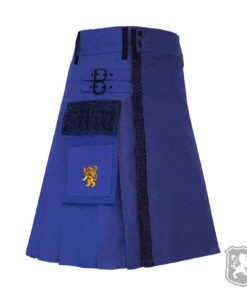 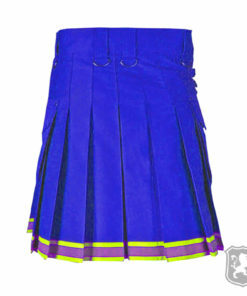 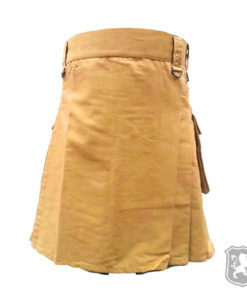 It has two flap pockets and decorative chrome hooks used on either side of the kilt. 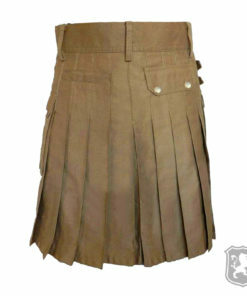 On the front, you will see that this kilt is very simple and plain with not too much decoration at all. 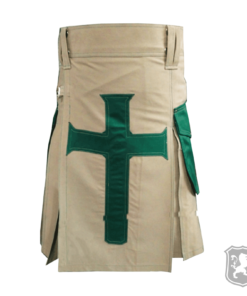 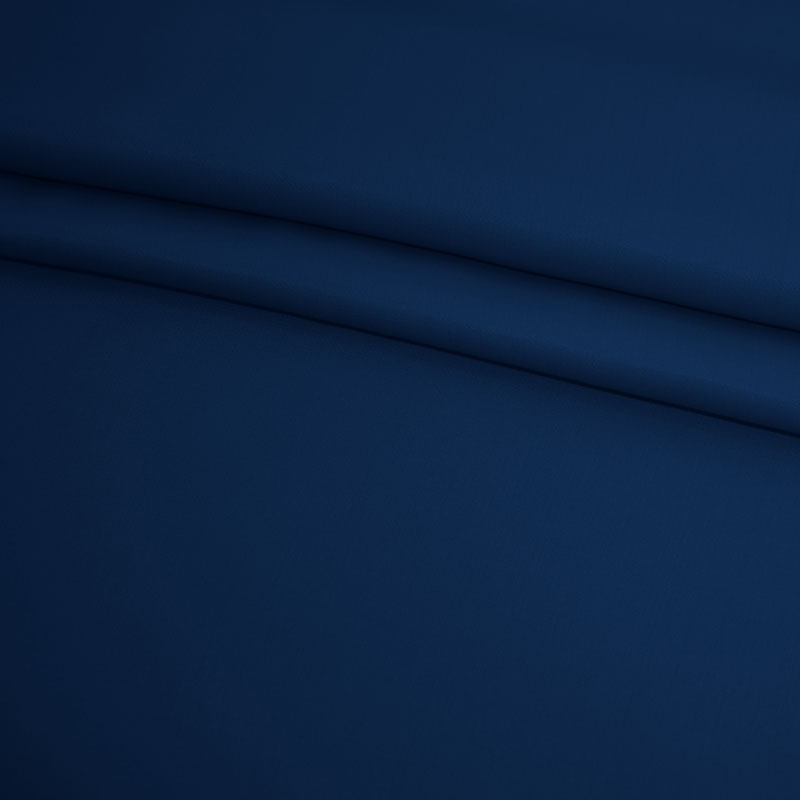 On the side of the kilt you will see that it has two flap pockets that are V-shaped. 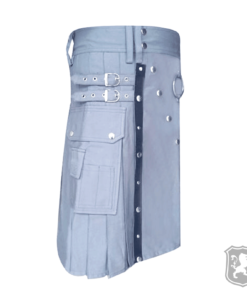 It also has decorative chrome buttons on top of the pockets. 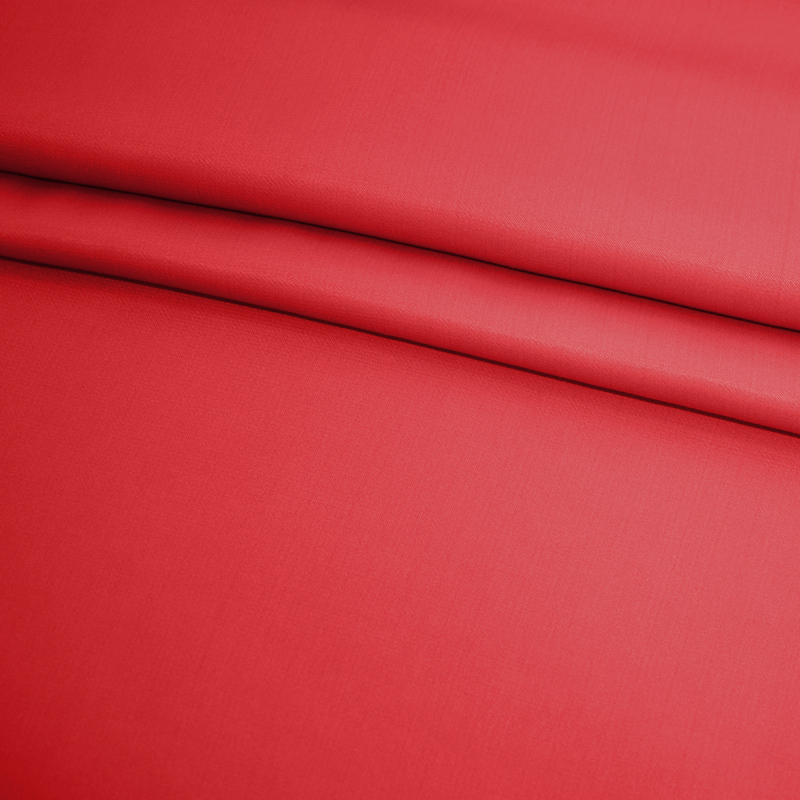 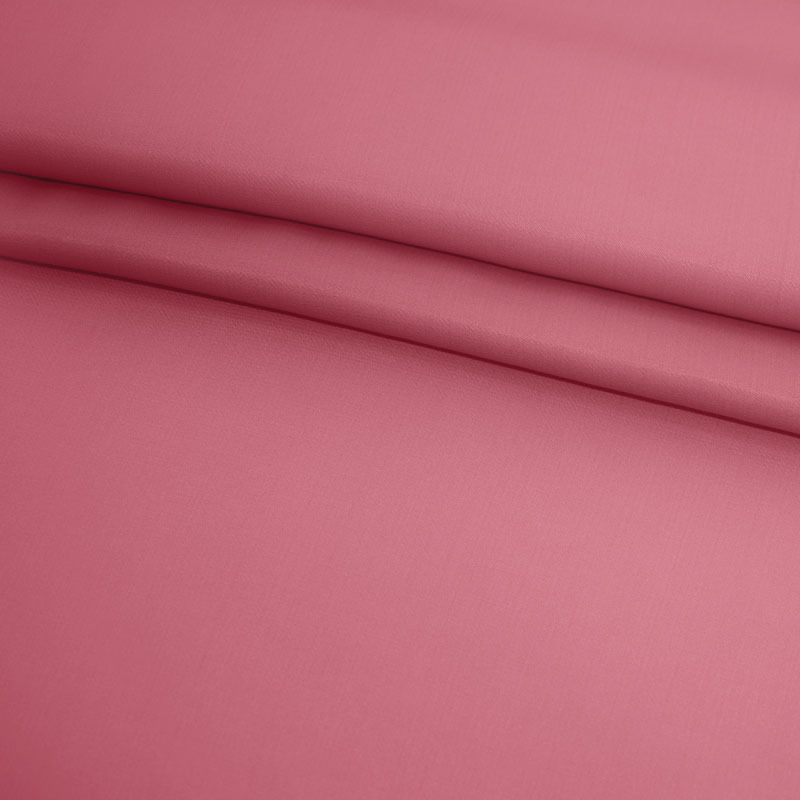 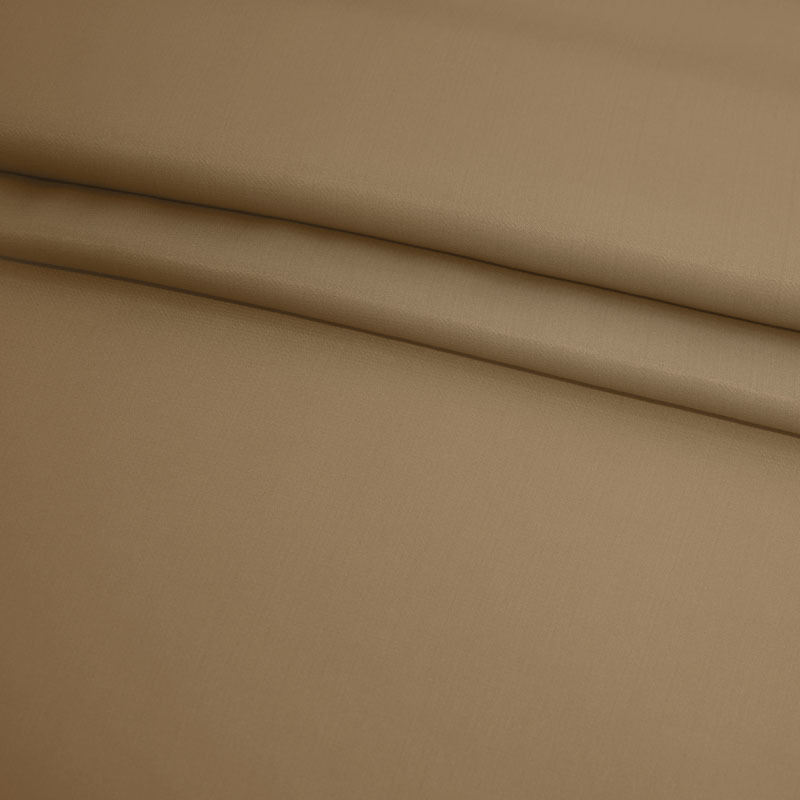 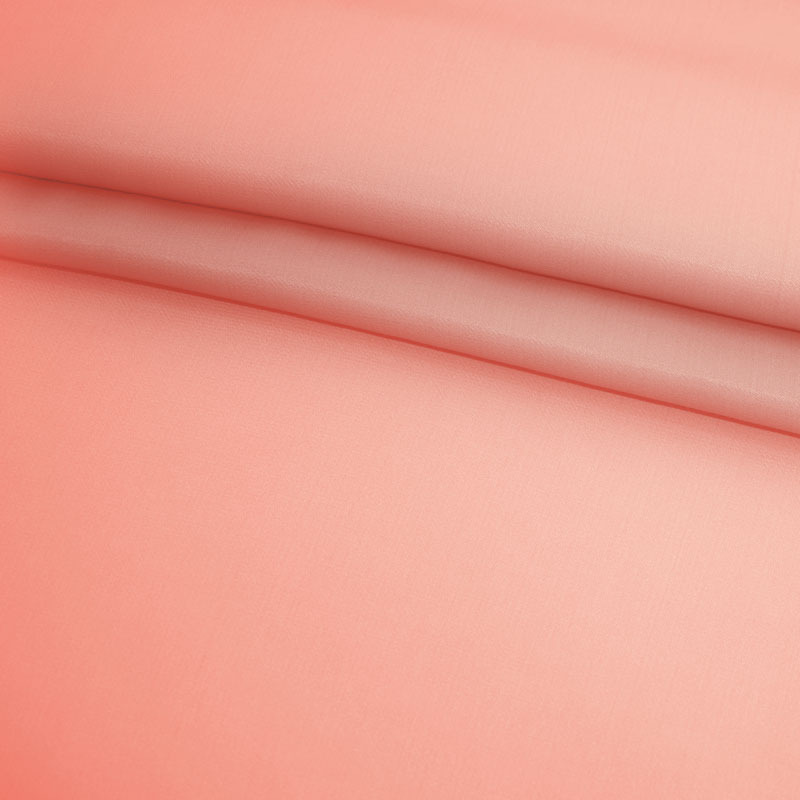 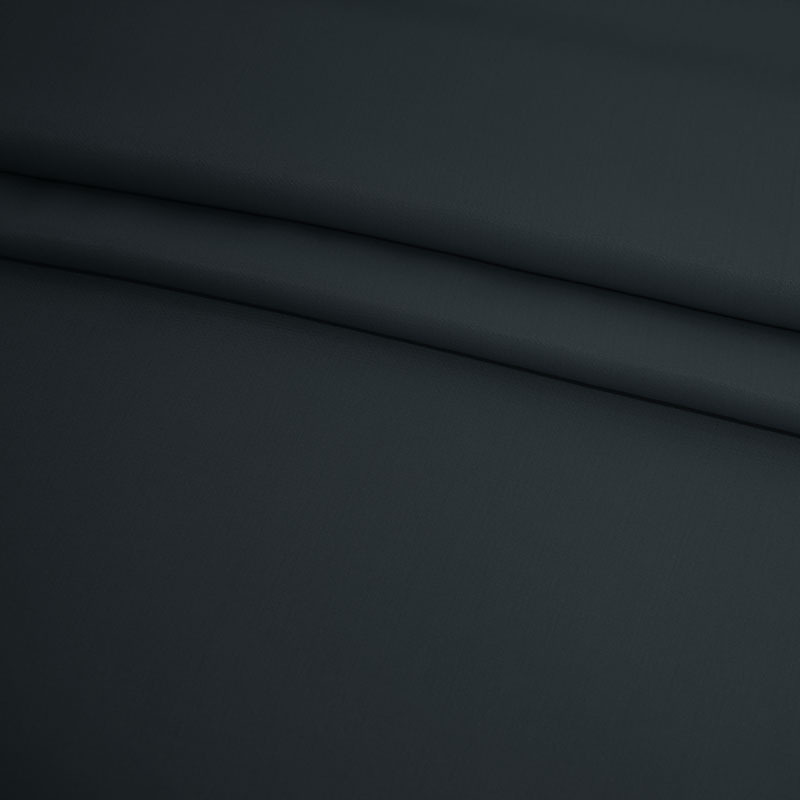 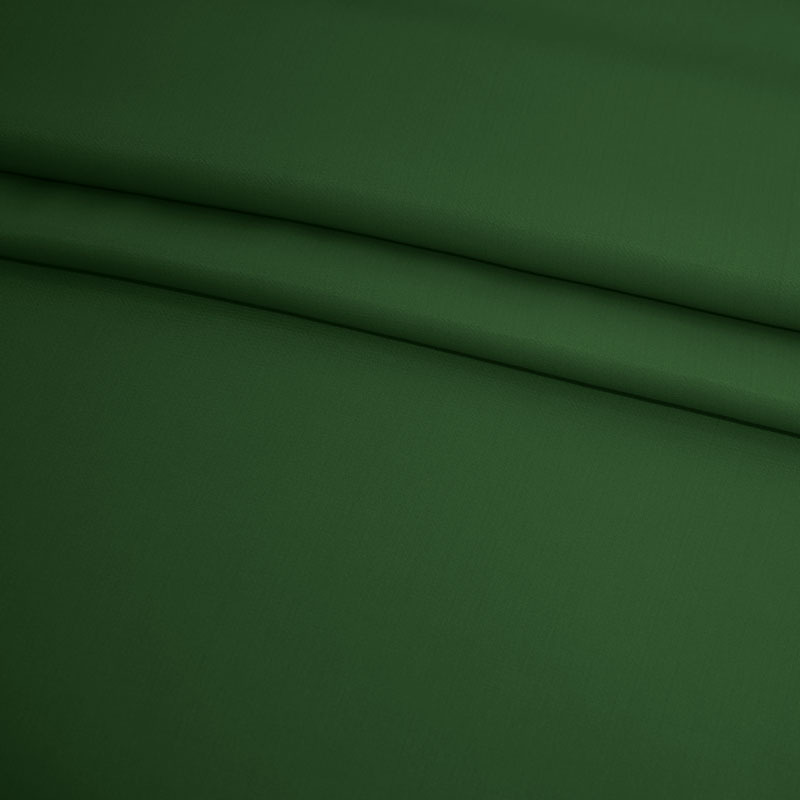 The pleats are sewn at around 2.5 inches but they can totally customizable according to the requirements of our customers. 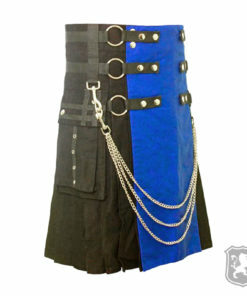 This is a really awesome kilt to own. 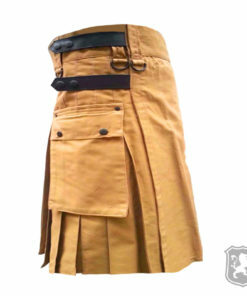 I highly recommend this kilt.